“I clicked this picture at the beautiful Chokhi Dhani in Jaipur, India. It is designed in a way that symbolises the joyous village life of the place. It represents its inner radiance and warmth. It was wonderful to see so many birds and animals living here – elephants, peacocks, sparrows, camels, squirrels. I love camels. They’re beautiful creatures. 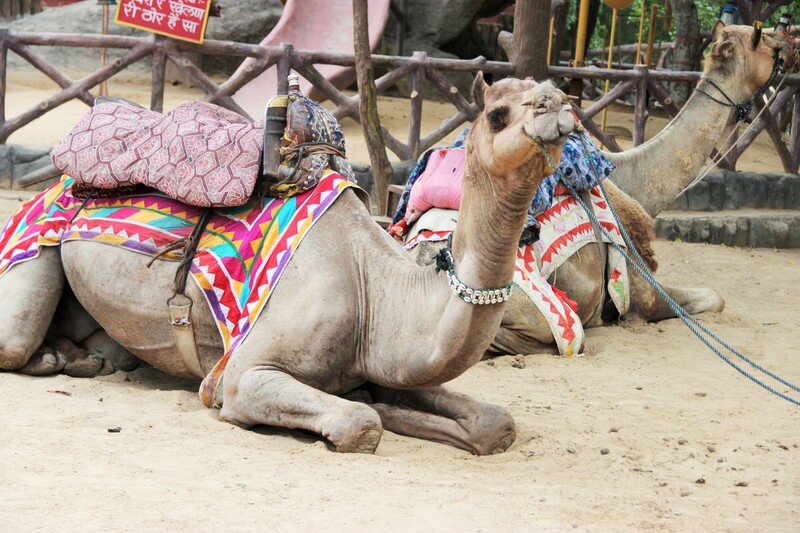 The camels here are decked in such bright, traditional clothes. At dusk, they give rides to the people who come by. They’re so calm, composed and majestic as they walk around Chokhi Dhani. Trivarna Hariharan is a writer and musician from India. She has authored The Necessity of Geography (Flutter Press), Home and Other Places (Nivasini Publishers), Letters I Never Sent (Writers Workshop, Kolkata). Her writing appears or is forthcoming in Right Hand Pointing, Third Wednesday, One Sentence Poems, Alexandria Quarterly, Birds Piled Loosely, TXTOBJX, Front Porch Review, Plum Tree Tavern, Red Bird Chapbooks, Calamus Journal, Fourth & Sycamore, Eunoia Review and others. She has served as the editor in chief at Inklette, and is the poetry editor for Corner Club Press. Besides writing, she learns the electronic keyboard, and has completed her fourth grade in the instrument at Trinity College of Music, London.